Yamana Gold Inc. (TSX:YRI)(NYSE:AUY) finished 2016 on somewhat of a high, and in 2017 the company is looking to continue that trend. 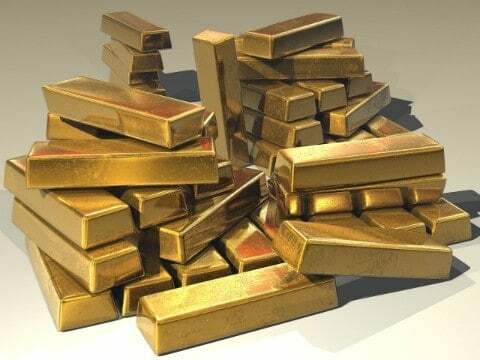 Gold producers benefited from the first gold rally in nearly a decade last year which sent an ounce of gold soaring from lows below US$1,100 per ounce to over US$1,300 per ounce. That rally saw gold producers like Yamana soar with gains of over 100% common by the middle of the year. By July, Yamana was up by 160%, but the rally was starting to lose steam, which ultimately led to the stock cooling off, eventually closing out the year up over 46%. So, what can we expect from Yamana in 2017? Prior to the 2016 rally, Yamana and other gold producers were left with a decreasing number of options to counter flat gold prices. Cost cutting, debt reduction, and ways of improving efficiency were key during the lean years, and once prices started appreciating last year, those efficiencies and lower costs started to reap the rewards. Yamana put a real focus on debt reduction and managed to trim debts down by US$286 million in fiscal 2015, and US$300 million has been targeted between this year and next. Yamana has already made significant progress on that goal, first by selling the Mexico-based Mercedes mine in September, and then by completing a spin-off the Brio Gold subsidiary through an IPO conducted late last year. Despite the spin-off, Yamana retains an 85% share in the Bio subsidiary, which will continue to provide source of revenue for the company. The sale of some of Yamana’s assets over the past few years may have been primarily allocated to debt reduction, but the impetus behind the sales was for Yamana to put an emphasis on higher-producing core assets in lieu of other mines where production was lower. Gold producers are constantly searching for that next mine, however, and when the opportunity presented itself, Yamana capitalized on it. Even before divesting the Mercedes mine, Yamana had already taken an interest in the Cerro Moro mine in Argentina. Gold production is still a year off at this point, but management is forecasting that annual production from Cerro Moro should peak at 130,000 gold ounces and over 6.3 million ounces of silver annually over the six-year expected life of the mine. Another area of interest is Suruca, which is a Brazil-based mine near the existing Chapada mine. At this point, Suruca is still several years out from producing gold, but management forecast that up to 60,000 ounces of gold could be produced from the mine over the course of a five-year lifespan. One point that is interesting to note with respect to Yamana is how the company fares when compared to its peers. While most of Yamana’s competitors have benefited from a resurgence in gold prices, few have acted as aggressively as Yamana with respect to divesting lower-performing assets. As it stands, Yamana has just US$1.75 billion in debt and free cash of US$317 million, both of which put the company in a more manageable situation than some of the larger peers in the precious metals space, who have as much as three to four times the debt and fewer options for growth over the next few years. In providing some preliminary quarterly results earlier this month, Yamana did deliver on production and costs over the course of the full year with all-in sustaining costs coming in at US$914 per ounce, which is within, but on the higher end of, guidance for the year. Overall, Yamana appears to be on course to fare just as, if not better than, 2016 this year. While the gold market remains a risky investment, Yamana itself represents a great opportunity for investors looking to diversify their portfolio with a precious metals investment.